Designing a new heterogeneous image system entails an enormous development effort. Although existing image processing libraries already integrate efficient implementations, they are hardly flexible regarding support for different target architectures. As part of this work, the Heterogeneous Image Processing Acceleration (Hipacc) framework is presented. It consists of a domain-specific language (DSL) for image processing and the corresponding source-to-source compiler. Originating from the DSL description, the compiler can be used to generate efficient source code for a variety of target architectures. Aside from graphics processing units (GPUs), also embedded GPUs, field programmable gate arrays (FPGAs), and vector processing units of central processing units (CPUs) are supported. 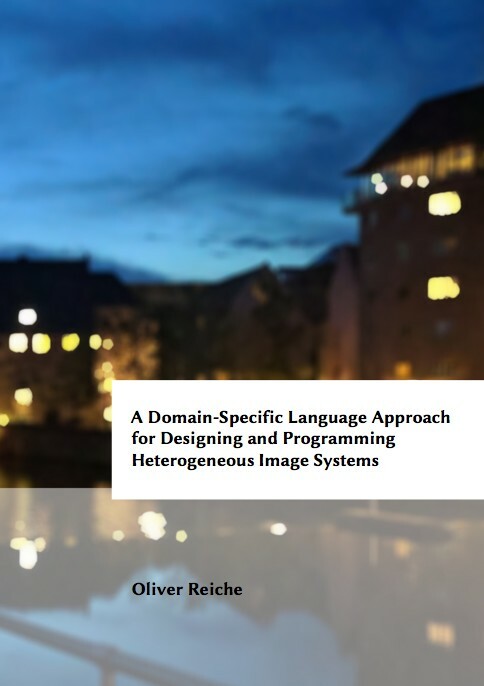 With the aid of the designed language constructs, the broader range of target architectures, and the corresponding newly introduced target languages, a holistic framework is presented that enables wide support for programming heterogeneous image systems.